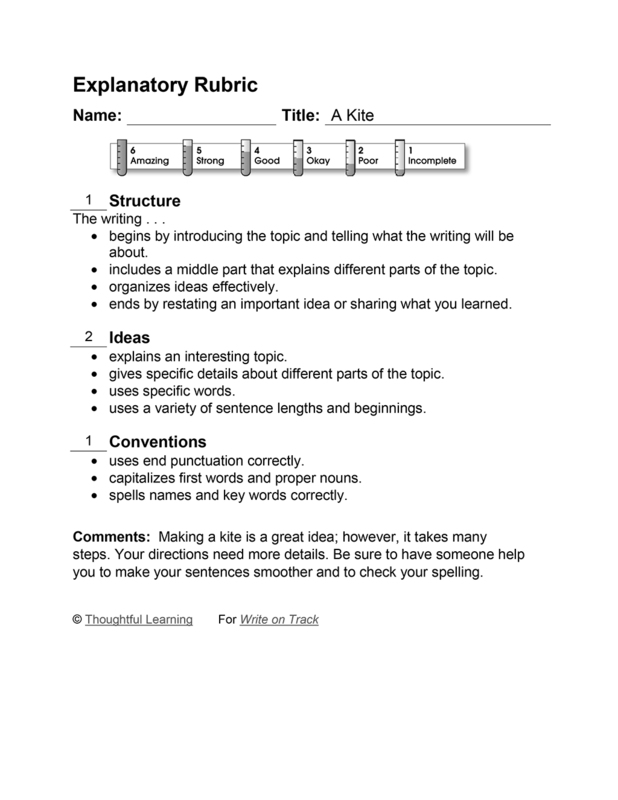 This example of third-grade explanatory writing explains how to make a kite. To make a kite I go get some kite sting and stecks. Then I mak a shape it dosnt have to be a dimend shape. I tape them all togeter and tape the bag on then cut it out then I etach the string. A Kite by Thoughtful Learning is licensed under a Creative Commons Attribution-NonCommercial-ShareAlike 4.0 International License. Based on a work at k12.thoughtfullearning.com/assessmentmodels/kite.